Security cameras in Fair Ppark show a bolt of lightning striking the ground near the ride at about 7:30 a.m. Sunday. 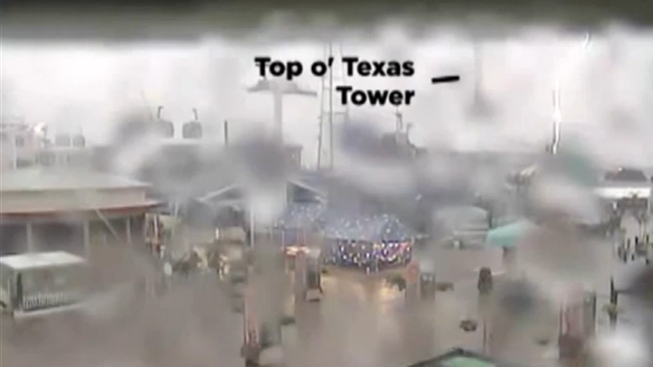 A weekend lightning strike caused electrical problems to Fair Park's new Top o' Texas Tower, knocking the ride out of service for several days. Security cameras in the park show a bolt of lightning striking the ground near the ride at about 7:30 a.m. Sunday. Fair Park officials told NBC 5 that repair crews have ordered a replacement for the tower's damaged electrical board. The lightning strike also affected computer systems and the Midway's sound system, but those issues have already been repaired. The ride is expected to reopen on Thursday. The Top o' Texas Tower and the Midway recently opened as part of the new Summer Adventures attractions in Fair Park that began daily operations this past weekend and will run through Aug. 18.